It's been ideal baking time what with the nights drawing in, the weather getting chillier, kiddies lunchboxes needing filling and my diet clearly going down the pan. Yesterday I pulled out my 'go to' chocolate traybake recipe and played around with it a bit due to running low on drinking chocolate powder - the kiddies have been having to have hot chocolate every night lately. I did, however, have Ovaltine on the shelf. 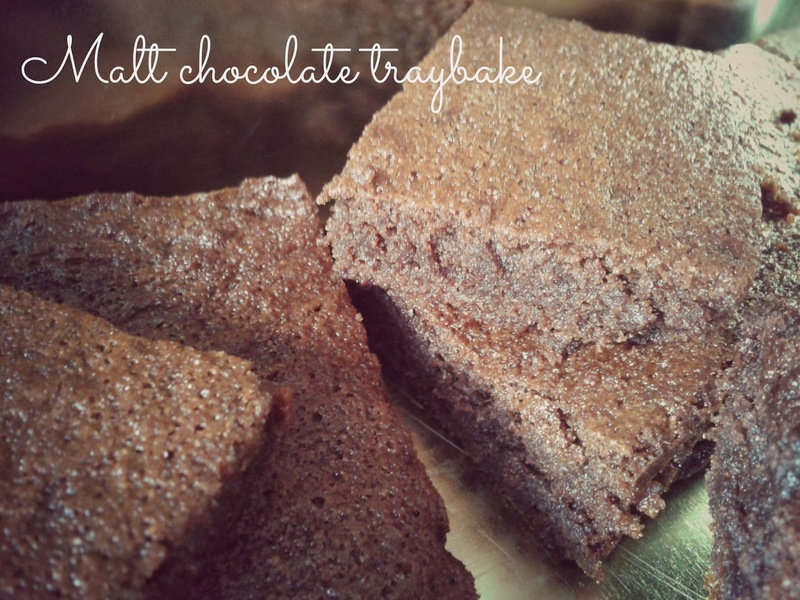 This gave the traybake a nice malty taste and actually worked really well. Cream the Stork and sugar together until soft. Stir in the flour and chocolate powder. Beat in a splash of milk if stiff. Spread into a greased and lined tin - mine was 26cm x 18cm - and bake at 170c for about 25 minutes. I am so loving the looks of that!